Attention Educators! Please click here to move to the section specifically for you below. NOTE: Device loan program links will take you to a different ABLE Tech search website. 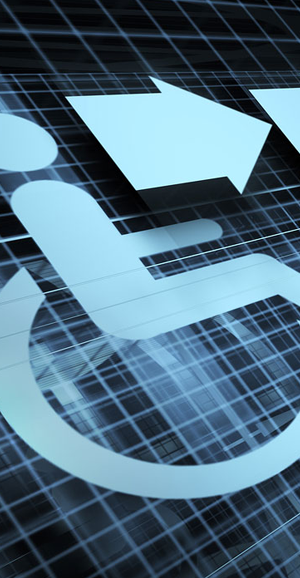 Oklahoma ABLE Tech and it's partners operate an assistive technology (AT) device demonstration center and device loan program to increase access to and utilization of AT for individuals with disabilities. This is available to all Oklahoma residents with disabilities, their family members, and the professionals that support them. Oklahoma ABLE Tech's assistive device inventory offers over 2,500 devices in many AT categories including devices and equipment for speech communication, computer access, hearing, vision, daily living, environmental adaptations, learning/development, recreation, mobility, seating, and positioning. ABLE Tech staff also provides guidance on funding resources for AT equipment. To borrow a device, using the links below, you will move to our external site for device loan. That page will have the exact same content as this page. Download the PDF request form and send to ABLE Tech by mail, fax, or email. You may also call us and we will send the request form to you. Oklahoma ABLE Tech offers an extension for educational device loans while you try to pursue funding in order to obtain the device for your student. If this is the case, please contact Shelby Sanders, AT Specialist, at shelby.sanders@okstate.edu or 405-744-7606 and she will send you the paperwork. Check out funding resources under ABLE Tech’s AT Discovery page.